I just had to share this pic. 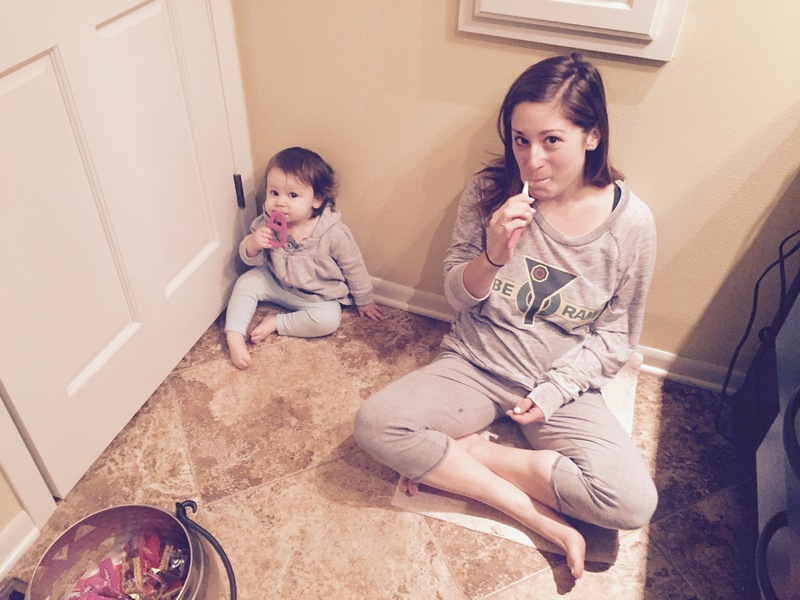 Hubby caught a sweet moment I was having with my little bunny… Just two gals maintaining good oral hygiene together. By the way, how cool is C’s toothbrush? It’s a specially designed toothbrush for toddlers so they don’t choke on it or jam it down their tiny throats. We got ours for free from our pediatrician, but here’s one that looks the same. This entry was posted in Healthy Living, Toddler and tagged baby oral hygiene, brushing toddler teeth, mini me, toddler dental care, toddler teeth. Bookmark the permalink. I really need to pick up one of those toothbrushes! And that pic really is too cute!! It works so much better than the regular toothbrush we were using before!